On September 10, 2014 the New Jersey Legislature amended the alimony statute, N.J.S.A. 2A:34-23. 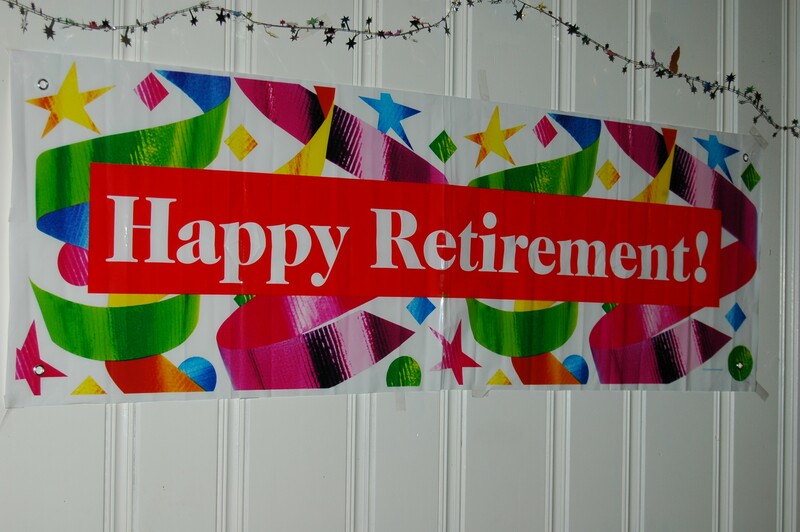 The Legislature provided for various standards related to a supporting spouse’s retirement, whether the obligor sought to retire early or whether the obligor spouse sought to retire at full retirement age. N.J.S.A. 2A:34-23(j) provides that “Alimony may be modified or terminated based upon the prospective or actual retirement age of the obligor”. Moreover, “There shall be a rebuttable presumption that alimony shall terminate upon the obligor spouse or partner attaining full retirement age, except that any arrearages that have accrued prior to the termination date shall not be vacated or annulled. The court may set a different alimony termination date for good cause shown based on specific written findings of fact and conclusions of law.” N.J.S.A. 2A:34-23(j)(1). This language caused some controversy and confusion among matrimonial attorneys, some of whom believed that the rebuttal presumption applied to all matters including matters filed before the statute was amended, and those who did not. Before the statutory amendment, if an obligor spouse sought to retire and terminate or modify his/her alimony obilgation, the obigor spouse had to file a motion pursuant to Lepis v. Lepis, 83 N.J. 139, 157 (1980). In the recent case of Landers v. Landers, (No. A-3931-14T3), 2016 WL 687132, — N.J. Super. — (App. Div. Feb. 22, 2016), the Appellate Division addressed this question. In Landers, the parties divorced in 1991 after a 22 year marriage. The divorce judgment required the Husband to pay a declining amount of unallocated support for the Wife and unemancipated children. He complied with the divorce judgment. There were few post-judgment disputes between the parties and no arrearages accrued. 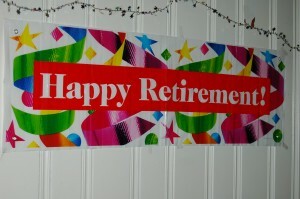 When the Husband turned 66 years old, he filed an application in family court to terminate his alimony obligation, asserting that the Wife was still working and collecting social security retirement benefits as his former spouse, whereas his income was limited to social security retirement benefits and his share of his pension that he received in equitable distribution in the parties’ divorce. The Husband also described some medical issues that had contributed to his desire to retire. The Wife sought a continuation of alimony, described her own medical conditions, and indicated that her income was her derivative share of the Husband’s social security retirement benefits and a social security disability award. The Wife cited to the legislative statement accompanying the modification to the alimony statute suggesting that the provisions of the new statute did not affect divorce judgments entered prior to September 10, 2014. The family court judge disagreed and applied the statute as revised in September, 2014 with its’ rebuttable statutory presumption and its factors. The court found that the Wife had failed to overcome the statutory presumption that alimony terminates when an obligor attains full retirement age, and that the Wife had not supplied her income tax returns, listed her assets on her Case Information Statement, and that she did not address her ability to save for retirement during the 24 years after the divorce. The Wife filed an appeal, asserting that the family court judge had not properly followed the statutory factors of N.J.S.A. 2A34-23(j)(1), that the court had incorrectly placed the burden of proof on her as opposed to her former husband, and that the court omitted applicable factors in its analysis. The Appellate Division reversed the family court’s decision. The Appellate Division noted that unlike other amended portions of the alimony statute, subsection (j) distinguishes alimony orders entered September 10, 2014 and those that were entered after the alimony statute was amended. N.J.S.A. 2A:34-23(j)(1), (3). The Appellate Division found it “unambiguous” that that this directive governs a family court’s examination of a request to modify alimony when an obligor spouse retires, depending on the date that alimony was originally awarded. N.J.S.A. 2A:34-23(j)(3) applies when a spouse files a retirement application in which “there is an existing final alimony order or enforceable written agreement established prior to the effective date” of the statute, September 10, 2014. The Appellate Division pointed out that the factors of section (1) and section (3) of N.J.S.A. 2A:34-23(j) are different and, therefore, the focus of the courts in their analysis must be different. Subsection (j)(1), which applies to requests to modify alimony orders entered after September, 2014, places the burden on the spouse receiving alimony to demonstrate to the court why alimony should continue when the payor spouse has reached full retirement age (the age at which a person is eligible to receive full social security retirement benefits under the federal Social Security Act). Subsection (j)(3), which applies to requests to modify alimony orders entered before September, 2014 does not have this requirement as it more closely follows the Lepis v. Lepis analysis of changed circumstances. This section puts the burden of proof on the obligee spouse to overcome a rebuttable presumption that alimony would be modified or terminated when the obligor spouse reaches full retirement age. The Appellate Division found it noteworthy that subsection (j)(3) also elevated the requirement that the court consider whether the obligee spouse had saved adequately for retirement. Section (j)(1) only has it as one of its factors, whereas section (J)(3) separates this factor and requires explicit analysis by a court. Applications to modify alimony, even in situations involving retirement, can be complex and fact sensitive matters. As such, the attorneys at the law firm of James P. Yudes, A Professional Corporation can assist you.